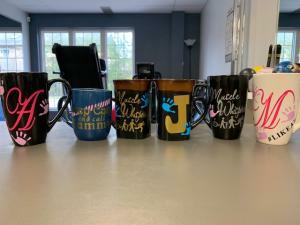 The gang at Westmount would like to thank our very thoughtful patient, Jodi, who hand made each of us a coffee mug. Jodi has graduated from Physio and Massage after an extensive work injury. Thank you Jodi! Wishing you all the very best!! Westmount Physiotherapy and Massage wishes Eric all the best in his last term at Highschool. Eric spent 5 months at Westmount Physiotherapy and Massage for his co-op placement. Good Luck Eric! Westmount Physiotherapy is excited to welcome Dr. Meg Robinson, Chiropractor. Dr. Robinson will be available Tuesday mornings and Saturdays. Welcome to the team Dr. Robinson!